S.V. 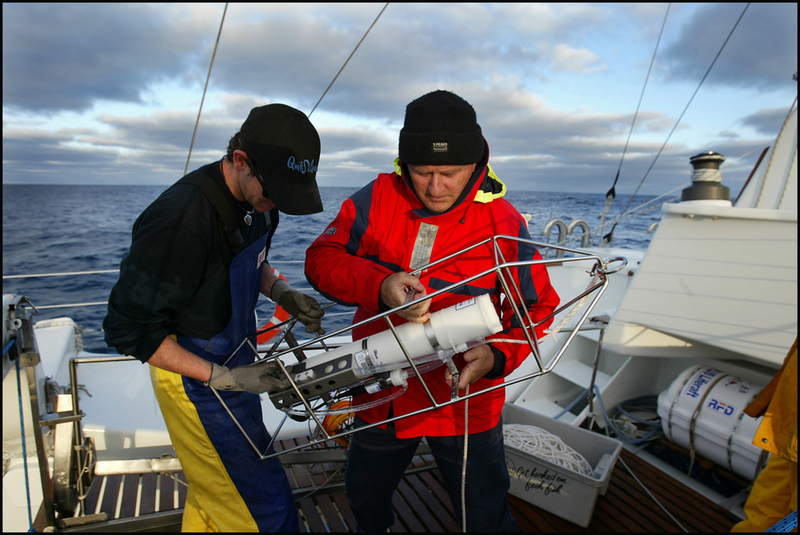 Pelican and the Saltwater Crew have been conducting projects at sea since 2004. Our work engages with an incredibly diverse spectrum of people and communities, which beautifully reflects the richness and biodiversity that is contained within the ocean itself. Together we are working towards a deeper understanding and more meaningful connection with the ocean that will enable us to thrive ecologically; and to gain strength through culture. Since 2004, we have conducted over 64,000 Nautical Miles of sea projects. Since 2006 the annual Two Bays program has sought to raise awareness of the extensive natural and cultural values of Victoria's Port Phillip and Western Port Bays, promote attitudes of care, and encourage actions by individuals and organisations to improve bay health. Connecting communities with their local coastal and marine environments can be a challenge due to lack of access and low ocean literacy, though it is well known community engagement is essential to improving catchments and inspiring better-integrated management. Centred around a sixty-one foot catamaran, (purpose-built by the project coordinators in Melbourne), this marine research and community engagement program conducts research (mainly water quality and citizen science projects), builds partnerships (particularly with Traditional Owners) and strengthens existing ones, provides a space for ‘ocean dialogue' and information sharing on key bay environmental themes. The Hope Vale Project has been running since 2004 . Each year Pelican heads north to work with Hope Vale Indigenous Community. We were first invited to work with them in response to a film documenting our work with troubled youth in Victoria's Bass Strait. The orginal invitation was from Coraleen Bowen, who wrote..
My name is Coraleen J. Bowen, I'm 28 years old. I live in an Aboriginal Community called Hope Vale. Hope Vale is situated in the Cape York Region, Queensland. The reason I am writing for is to ask for your assistance and support in my idea and would really appreciate your help. I saw your show on the television and thought this would be ideal because the sea is the only escape/time out apart from other sources such as rainforest, bush, mountains etc from society. 1. Information on the cruise? 3. Where and how do I get financial support for youth? I believe it'll be an adventure of a lifetime for these youth that'll change their lives as well. About 6-7 years ago my Uncle shot himself caused by peer pressure, drugs, alcohol, depression, loneliness then suicide. He drove past me on the night he did it looking for help and I totally ignored him. He was a role model before the incident for every young person including myself. A year after that my cousin hung himself at the age of 18. Today we buried my 15 year old niece. She hung herself with a cord. Again the same problems as the others. My fear is if nothing is done now a lot of teenagers are going to head in the same direction having thoughts of suicide seeing it as an easy way out. I wasn't there for any of the deceased but I'm sure that I want to be here for the rest. Please I'm desperate for help and as much support from yourself and others. The program has been running since our first visit in 2004. The project is managed in close collaboration with Elders from Hope Vale and includes turtle and dugong research, seagrass monitoring, digital storytelling, weaving, dance and music workshops as well as sail training, visits to sea country and recreation of the traditional voyages undertaken in dugout canoes to Lizard Island. Here is the introduction to the Two Bays curriculum which we developed from ten years of work in Port Phillip and Western Port Bay. The story of Two Bays is intriguing. It weaves together science and traditional knowledge, brought together community members with bay managers and put the issue of water quality and caring for sea country to the media and public view. With a charismatic, 62 foot catamaran called Pelican 1 cruising the coastal waters of Western Port and Port Phillip each summer since the project was launched in January 2007; coastal communities have been invited aboard and engaged with the work conducted by a collaborative group of scientists and researchers who make up the Two Bays team. This curriculum will provide an overview of that work and will integrate themes such as climate change, catchment management, water quality monitoring, managing biodiversity and habitat mapping. 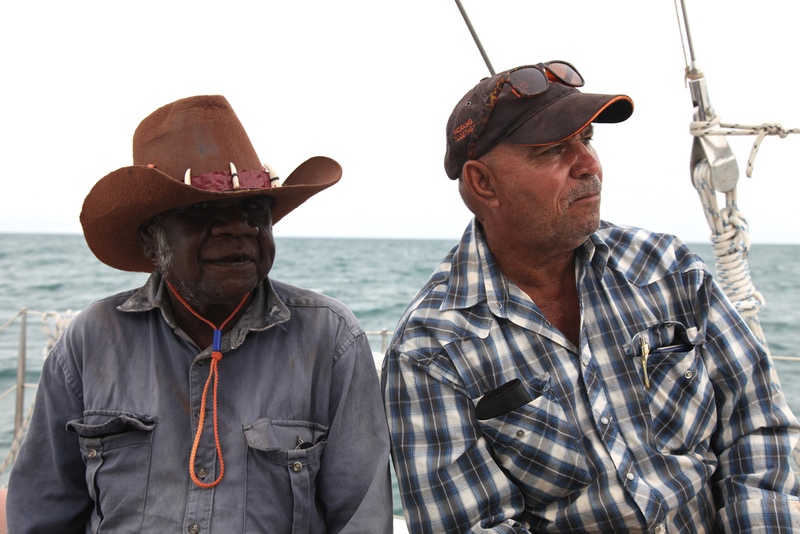 Wherever possible, insight from the traditional owners of sea country will be included and we will explore the connections between the creation stories of the bays and the new data being uncovered by the scientific research undertaken as part of the project. At the conclusion of this curriculum, the reader will have developed a keener awareness of the traditional uses of national marine parks and knowledge of the indigenous peoples of Port Phillip and Western Port Bays. The final home for this curriculum will be on our website but we need a bit of funding to design the site. We are now working on creating curriculum from our ten years of work with Hope Vale and some other coastal communities on Cape York.